Most of us may have been tucking into our lunches and dinners, but spare a thought for those residents along Victoria’s surf coast, who spent most of their Christmas Day battling an enormous bushfire that has so far claimed more than 100 homes. 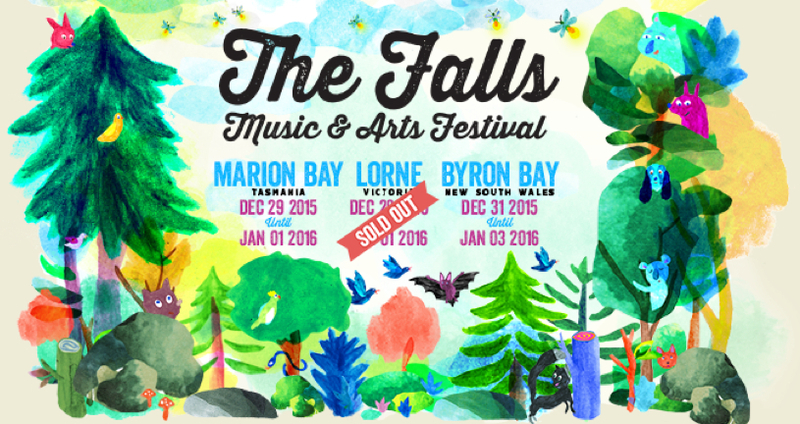 Spare a thought too, for organisers of the annual Falls Festival, which was set to be held in the picturesque Victorian town of Lorne from Monday. They’ve been working with emergency services on the ground over the past few days to determine whether or not to allow the festival to go ahead, given the volatile weather situation (the fire is still raging on the outskirts of the town). Naturally, they’ve have to balance the desires of festival goers with the very real fear that they wouldn’t have been able to evacuate punters safely should the fire shift direction. To that end, organisers have moments ago confirmed that, with the support of a number of different parties, they’ve been able to shift this year’s event at the last minute to the nearby Mount Duneed Estate, west of Geelong. In a statement released to media just moments ago, Festival Co-Producer Jessica Ducrou says, “First and most importantly, our hearts and thoughts are with our neighbours and local communities in the Lorne area who continue to deal with this heartbreaking situation. The safety of our patrons is always our number one concern, and our discussions have directed us to a new home and Falls experience for the year. Emergency Management Commissioner Craig Lapsley praised organisers. All Lorne tickets will be accepted at the new venue. Mount Duneed Estate, 65 Pettavel Rd, Mount Duneed, VIC.